I just finished reading Dan Brown's new novel Inferno. Dan Brown novels tend to be love-it-or-hate-it things for me. They are structured exactly like computer adventure games, with a series of quests and puzzles that lead to the next quest or puzzle which eventually reveal a larger story line and a final confrontation. Just as this sort of adventure game can be engaging or tedious and repetitive, so too can be Dan Brown books. The Da Vinci Code is excellent, the others are meh, just overly-convoluted snipe hunts. So I had expected to either love or hate Inferno. It turns out it was awful, but for an entirely unexpected reason: for some insane reason, Dan Brown seems to have come under the spell of Paul Ehrlich doomsters, and has crafted a book with a deep fear of population growth that is right out of the 1970's. It is clear from almost the beginning of the book that Brown's hero, Robert Langdon, is on the trail of some sort of mad genius who is convinced that the Earth is headed for a horrible collapse due to human population growth. This character is enamored of the medieval black death and believes that the best thing for modern man would be some sort of repetition of this kind of plague. The exhausting part for any rational person trying to read this book is that it is clear that the author Brown mostly agrees with this character. We know this because all of the arguments characters marshal against the villain are so lame and half-hearted. In general, the tone of the response to this man is "yes, you are absolutely correct that human population growth will inevitably lead to a complete catastrophe but your idea of a plague is a bad solution." By the end of the book, everyone formerly opposed to this scientist have come around to reluctantly agreeing with his point of view. If you ever read Tom Clancy's Rainbow 6, where an environmental group tries to kill off most of the world's population, this is essentially the same plot written, incredibly, by an author that seems to agree with the basic idea. If you are not convinced that Dan Brown himself agrees with the terrorist, I will also provide one more convincing piece of evidence -- though since it is a much bigger spoiler I will leave it for the end below the fold. If you have read the book or don't intend to, skip below the fold and then come back. This idea of catastrophic population growth is idiotic. 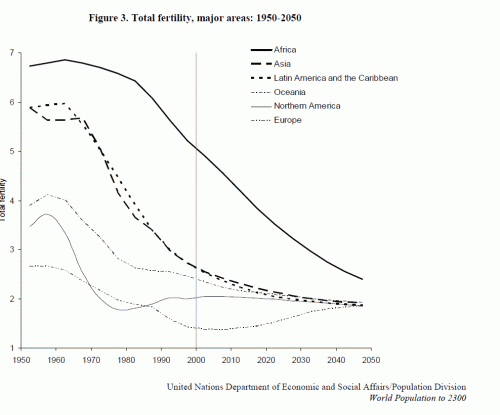 Accelerating population growth is a trend that is not a trend. There is absolutely no trend towards out of control population growth. In fact, the trends actually run in the opposite direction, with birth rates and population growth rates falling such that most demographers foresee an Earth stabilizing around 9-10 billion people and possibly falling in population after that. Since Dan Brown uses senior UN officials in the book to agree that population growth will result in disaster, I will use UN figures. 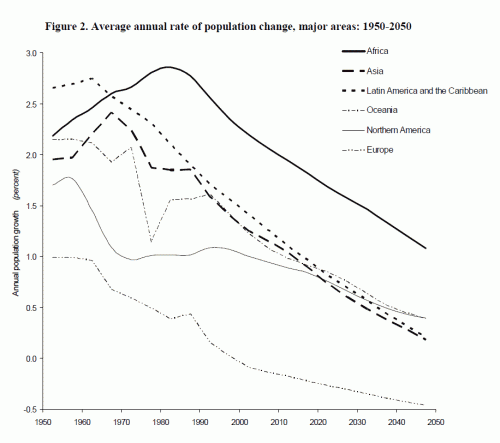 These are from a 2005 UN population report. First, population growth rates have been falling for decades and will continue to fall. They are falling in every part of the world. UN, medium variant, 2010 rev. People focus on the amount the world population has increased over the last 60 years to produce shock numbers, but the real stunner is the drop in fertility rates -- nearly in half, which is really astounding. I still have my treasured first edition of Ehrlich's Population Bomb. It is hilarious reading, all the more so because he gets everything so wrong, yet the media still tends to take him seriously. The recurring theme in Inferno is that man's greatest problem is that he has successfully tackled many diseases and thus increased life expectancy, and it is this longer life expectancy that will be the roots of mankind's Malthusian downfall. However, exactly the opposite is true. There is a ton of scientific work that says that longer life spans lead to lower fertility rates (the other thing that most contributes to lower fertility rates is economic growth). 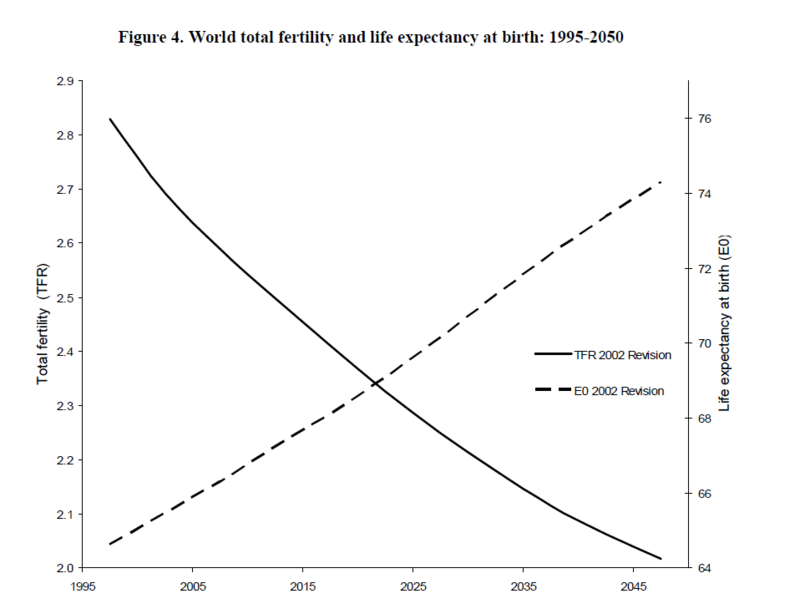 Here is a chart right out of the UN study linked above showing a clear inverse correlation between life expectancy and birth rates. Correlation is not causation, but this is backed by a ton of other empirical evidence to support causation. There is no trend towards accelerating population growth -- the trend is in the opposite direction, to deceleration. And folks who have underestimated man's ingenuity in feeding larger populations have always turned our to be wrong. Ehrlich said there was no way --- absolutely no way -- India could feed an additional 200 million people by 1980. Well, in 2013 it feeds an additional 800 million people to a better standard that the country was fed in Ehrlich's time. Hell, we could probably feed an additional half billion more just by repealing laws that put a significant amount of America's food production into automotive fuels. Most of the spoilers above are revealed in the first third of the book, so I think they hardly qualify as spoilers. But there is one big spoiler that really proves my point that Dan Brown is sympathetic with the terrorist's viewpoint on the need for a forced intervention to radically reduced world population, and it is this: The terrorist gets away with it. That's right, an entire book about chasing a terrorist ends with everyone being too late and the terrorist attack succeeding completely (the plague turns out to be sort-of kinder and gentler than feared as it reduces population not through mass death but rather through mass sterilization, though that is a bit of ethical hair-splitting I would have been loath to endorse as an author). Actually, the book ends a few chapters later, after the person who helped the terrorist the most is given a leadership position at the UN and everyone generally agrees reluctantly that the attack was all for the best. Eee gad. I find it incredible the author thinks that the social and economic disruption of over half** the couples in the world suddenly finding themselves unable to reproduce due to an act of terrorism would be less than the disruption from having a few billion more people on Earth. Yuk. ** I suspect Brown got his math wrong. He wanted a plague that would duplicate the effect of the Black Death that he says killed about a third of the population (historians differ on this number, but it is not an unreasonable estimate). So he has his plague making a third of the population sterile. But the math of reproduction is not by individual but by couple. If a third of the people are sterile, then the math says that only 4/9 or about 45% of couples will have two non-sterile partners and be able to reproduce. Of course, whether this would reduce birth rates by 55% is unclear -- one could easily imagine fertile couples in this world having twice as many kids. Remember, fertility rates of those who could still reproduce would only have to rise to 1950 levels from those that obtain today for this terrorism to have no effect of population growth. Further, he really has not thought through the consequences. The social disruptions would be enormous. Almost certainly the world would be divided into two classes (fertile and infertile) in an apartheid more awful than any racial or gender-based systems in the past. Should Harvard even admit infertiles, or should the best educations be reserved for those who need to educate and raise children? Would infertiles have the same attitude towards wealth creation and savings that we have today? Would fertiles even bother to socialize with infertiles? Would fertile people have more kids and sell them to infertile people? Should fertiles and infertiles pay the same taxes, or have the same health insurance rates? And think of the transition period as the population falls over several generations -- we think we have a high ratio of retired people to young folks today, what happens if all the old folks stay around but fertility suddenly drops in half. Would we have a gargantuan rush of divorces, as fertiles divorce their infertile spouses? What a big freaking mess. The math says that 44% of pre-existing couples would be able to reproduce, but I suspect you'd find in short order that the fertile people arranged themselves into relationships with each other. So saying that reducing population fertility by 1/3 reduces the number of breeding couples by a matching 1/3 seems reasonable to me. You're completely correct that the effect on the birthrate would be less than that, likely much less. You see, that's why we need to expunge the purveyor of the Smallpox Blanket from our mascot-dom. The UN's medium population projection assumes that all countries have replacement level reproduction, and the youthfulness of most populations drives population growth. However, for quite some time the world's population has been following the UN's low projection, which I believe uses actual reproduction rates. The upshot is that the world's population peaks around 2030 at about 8 to 8.5 B, and thereafter declines. Countries everywhere become more elderly, save and invest less and might become less productive per capita. Japan writ large. PS. I enjoyed the book, but I, too, find some of his stuff poorly written. It is like the Star Trek episode "The Mark or Gideon" where there is gross overpopulation on the planet Gideon due to having cures all disease so they beam Capt Kirk down to a fake Enterprise to get his Vegan Meningitis disease to kill off the population of the planet. What would happen if one applied the reasoning of Warren's last paragraph to, say, the homosexual imposition currently occurring? How does replacing "infertile" in that paragraph with "homosexual" not fit mutatis mutandis? Toss in the reality of STDs, a statistically undeniable reality with costs heterophobes don't merely deny, but attempt via legislation to pass on to others. "...really has not thought thru the consequences. The social disruptions would be enormous." Indeed. The story line in your last, below-the-fold paragraph would make a great novel. Are you up for writing a sequel to Inferno? This can only be a short-term trend. Whatever psychological features are prompting people not to have children, will not exist in the next generation. A brief respite and the acceleration will continue as per Malthus. Here is a good book on the subject, centered on the US: "What to Expect When No One's Expecting: America's Coming Demographic Disaster." One subject the author discusses is that no, there is no reason to believe that declining fertility is going to turn around. The huge cost of children, and society's current belief in many circles that 2 kids is the maximum desired number, ensure this. Most obviously, you'd also have to change the percentage number by an order of magnitude. We only make up between 2% and 5% of the population. That's not enough to cause the sort of societal disruption Warren's talking about, or even absorb the results of all excess fertility. Finally, we kinda are exploring these matters. The question of whether gay men should be required to purchase insurance covering maternity care was a /thing/ during the Affordable Care Act debate. The differences between ghettoization and subculture can get sociologists to draw blood. Cross-orientation marriages are a thing, and generally do end in divorce. The medical costs of risky sexual behavior have large industries targeting them. So on and so forth. "... ends with everyone being too late and the terrorist attack succeeding completely..."
This reminds me of the movie 12 Monkeys. The world is post-plague with survivors eking out a living underground. They've developed a time machine and send back someone (Bruce Willis) who has a chance to stop the terrorist, avoid the plague, and switch the planet to a (presumably) better future. But, the ruling council prefers to have power in the current world instead of being nobodies in a better world, so they sabotage the attempt to stop the terrorist. Noumenon, you are wholly wrong on that. it's not psychological factors, it's sociological, economic and educational. 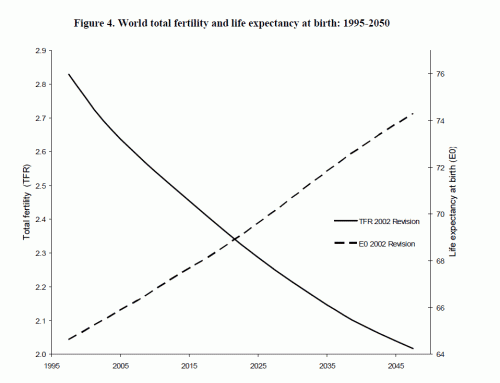 Check the trends: when people urbanise they reproduce less. another hand to help on the farm is just another mouth to feed in the city. And women's education moves in inverse proportion to their fertility. The world is urbanising, hallelujah for all concerned, and one of the many benefits of this is reduction in population growth. Dan Brown, just like Robert Zelazny, tends to be well reviewed but produces terribly trite prose. I tend to stay away. For anyone who feels similarly, recent pleasant discoveries: Scott Lynch, Mark Lawrence, Paolo Bacigalupi, Chris Moriarty, Guy Gavriel Kay, KJ Parker. Older favorites: the late Iain M Banks, Vernor Vinge, Richard K Morgan, Patrick Rothfuss, George RR Martin, Peter Hamilton and many more I have no doubt forgotten. The basic plot here sounds remarkably ripped off of Ben Bova's "A Calculus of Desperation", which itself was derivative of the superior James Tiptree Jr story "The Screwfly Solution". Those who don't read science fiction are doomed to repeat it badly and think that they are being original. Personally, I haven't forgiven Dan Brown for getting everyone to start calling Leonardo "Da Vinci"; even the Ninja Turtles didn't stoop *that* low. My head is too messed-up, but I often thought it would be funny to write a sort of end of the world book where the Ehrlich's actually cause it by trying to prevent it. But then again I hate dystopias because nature always finds a way like the bacteria making condos in the floating plastic. Taylor Anderson has a nice series going on that involves a WWI-era destroyer sidestepping (as WWII begins) to a world where the dinosaurs never died out, where lemurs developed into a humanoid species, and, of course, primates never developed at all. I think it's up to the eighth book coming out in the coming May. It's military fiction, and perhaps a bit optimistic, but I like it. It's a good mashup between classic SF style stories and more modern and common alternate history stories. That's not what happens.... What do you think is the point of the woman -- who IS someone from the future -- meeting the distributor on the plane? She's there to stop him. Willis was unable to do so, but managed to at least let them know who did it, so they could act to stop him. He was trying to survive in that future he made.